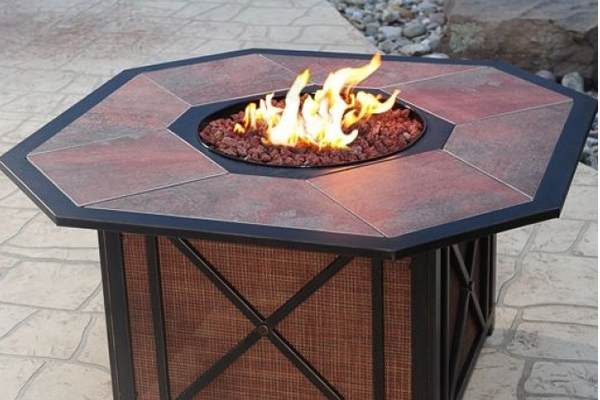 Signature Gas Firetable. Perfect for dining or just relaxing in front of. Holds a 20LB propane tank underneath the unit.